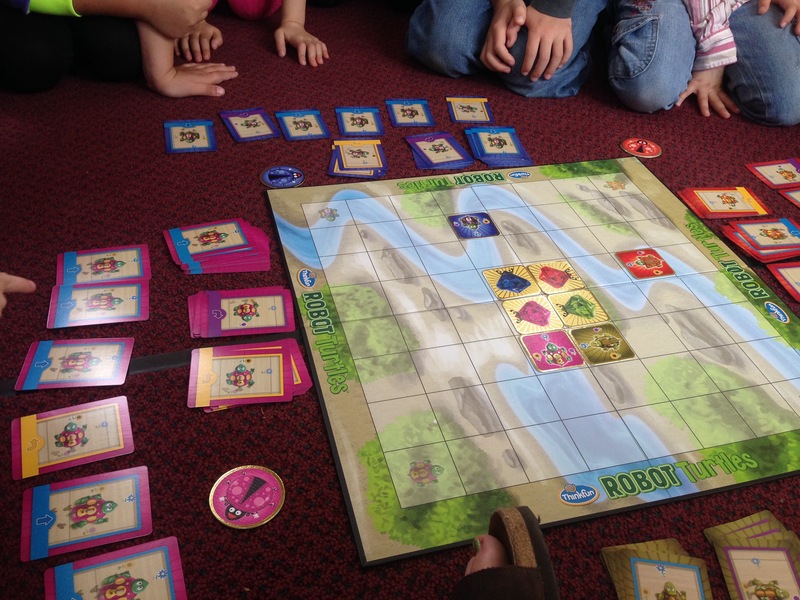 Last week, I splurged and bought the boardgame Robot Turtles to try out with my primary students. The new tech standards for NJ have a strong focus on programming concepts in the early grades, and I had heard a lot about this unplugged activity for grades K-1. The concept is simple. Students each get a different colored turtle, and write programs to make it reach the treasure by placing code cards one at a time. Each code card is a direction for the turtle to move: forward, left, and right. Each turtle also has a Bug card. 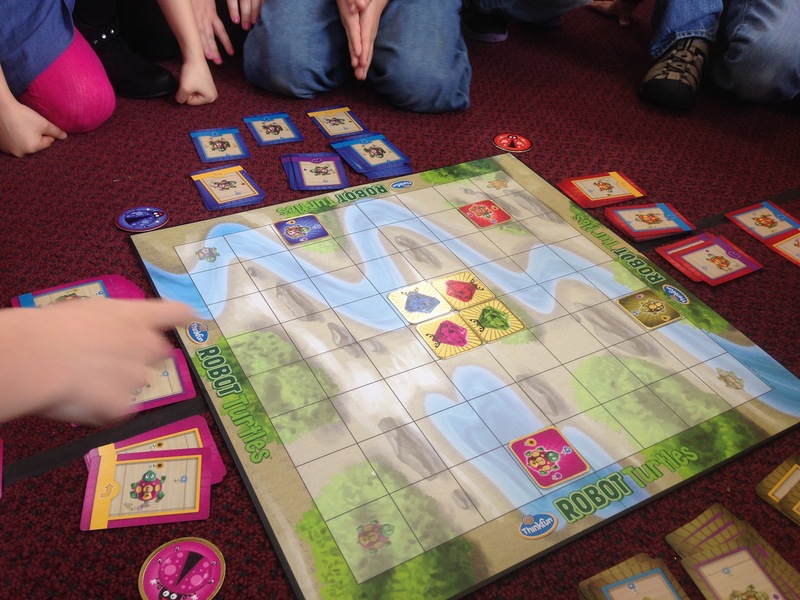 If the players don’t like the way their code worked, they can tap their Bug card and say “Bug!”, and the Turtle Mover (the teacher) will reverse their move. They can then remove their last card and swap it with a different one. Look at that, they are learning to debug programs! 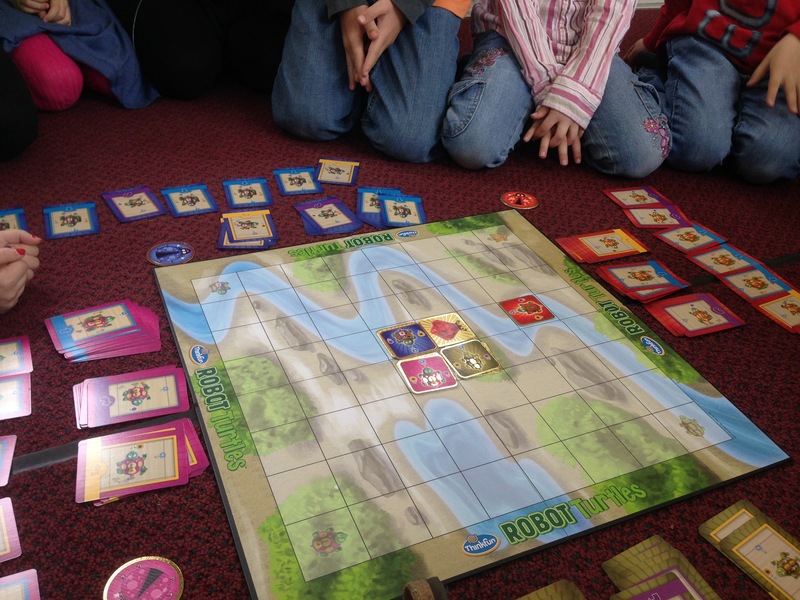 The game can be played in a variety of different ways and can increase in difficulty by adding obstacles to the board and by adding special cards like Laser and Function. 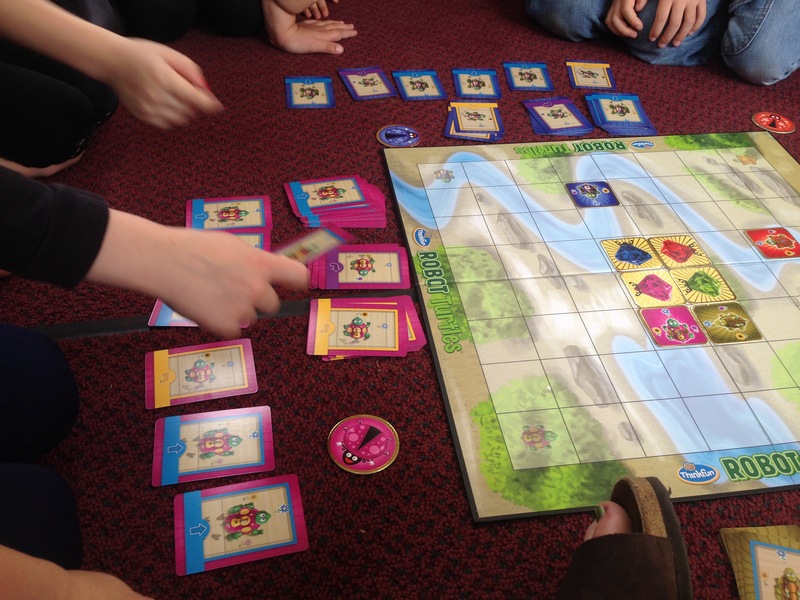 Since this was our first game, we played the basic setup of just turtles and gems. The kids loved it! We actually ended up playing in the hallway since we don’t have a lot of free space in the lab, and the students were extremely well behaved. Since I only have one game, I put them in teams, and they had some wonderful discussions about what card to play and whether to call Bug or not. The only speedbump we had related to the turn cards. 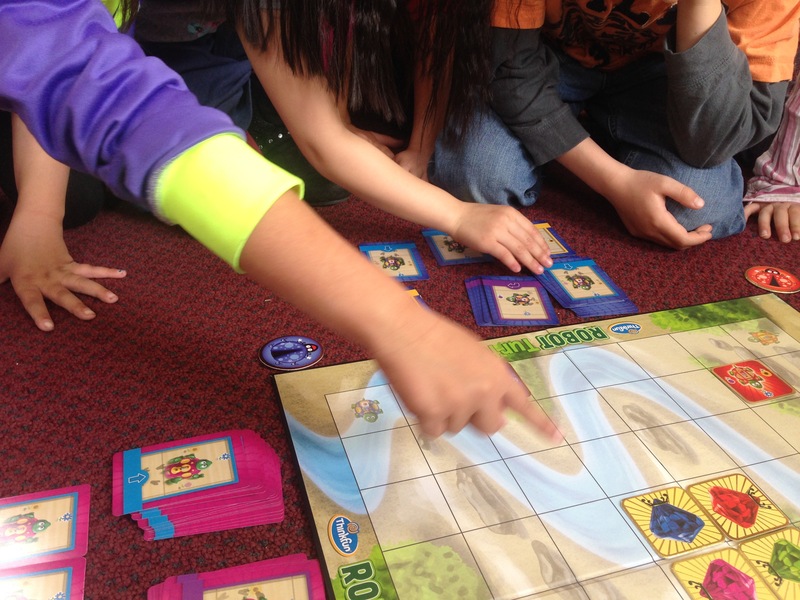 The kids had trouble with their left and right, and figuring out which way the turtle would move. I gave them some time to think about it, and by the end of the game they had the concept down pat. If you are planning to teach programming to young students, I highly recommend this game.